Join more than 100,000 agents who have used GeeWhiz to complete their real estate continuing education on time since 2006. 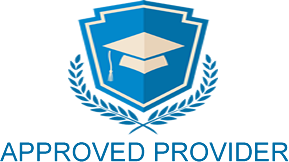 As a pioneer in the field of Real Estate Education, GeeWhiz offers state-approved online and shipped courses that producers can take to renew their licenses. GeeWhiz's continuing education is designed to help you make the most of your time - we give you the power to determine when and how you want to study your CE. You can logon and off as many times as you like, and you'll always return to the exact spot you last left off. By allowing you to take our online Real Estate continuing ed on your time schedule, you are in control of the learning process. Complete your continuing education when you want to. If you're tired you can logoff and return when you're more refreshed. By doing so, you not only learn more, you remember it longer. GeeWhiz's online Real Estate Education courses are based on convenience. Customer support is available 24/7, and our knowledgeable customer service representatives are available from 8:00 am until 4:45 pm. Call our toll-free number to speak with someone for assistance. START YOUR ONLINE REAL ESTATE CONTINUING EDUCATION COURSES TODAY! Maximize your efforts. Prepare yourself for success. And rest assured, you're in the hands of one of the best online instruction companies in the industry. GeeWhiz began in 1989 offering innovative, customer-oriented, effective online insurance courses for agents and producers alike. We guaranteed the lowest prices for insurance ce credits. If you find anyone offering the same services for less, we will beat that price by 10%. You can't lose!